Kenan Thompson is a bona fide TV sketch comedy institution: As the longest-tenured cast member in Saturday Night Live history—and a member of Nickelodeon’s nostalgic kid-sketch touchstone All That before—Thompson has literally spent more than half of his life on the casts of televised sketch ensembles. 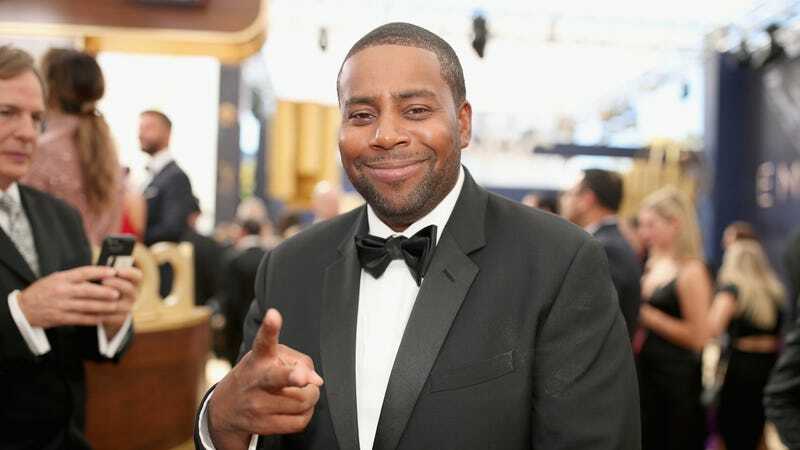 Now, though, it sounds like Kenan might finally be a ready for primetime player, with Deadline reporting that NBC has given a production commitment to a Thompson-starring single-camera sitcom. Titled Saving Larry, the comedy has a pretty solid pedigree backing it up, with Superstore’s Jackie Clarke handling scripting and production duties, and Thompson’s long-time boss Lorne Michaels supporting it through his Broadway Video banner. The series would star Thompson as a widowed father, trying to raise his kids with his father-in-law breathing down his neck. Deadline notes that, if the show goes to series, it would almost certainly mean that Thompson would be leaving SNL after 16 years on the show’s cast. (The famed Saturday Night Live work week doesn’t play nicely with traditional TV taping schedules.) Thompson expressed some anxieties earlier this year about leaving the show that’s been his TV home for so long, but it sounds like he might finally be ready to spread his wings and give a hearty “What up with that?” to freedom.